The business started by Malcolm Heylar with its showroom located in the town of Sherborne near Yeovil can supply and install a wide range of stunning kitchens. With a truly excellent level of customer service Sherborne Kitchens will help you achieve the kitchen design of your dreams. With a wide range of styles from cutting edge contemporary to classic traditional craftsmanship, Sherborne Kitchens offer a complete service to design, supply and install to every budget. The Sherborne Kitchens showroom has a number of inspirational examples from their range so why not pay us a visit to discuss the design of your new kitchen. Planning and Design – rather than using stock kitchen designs, we plan each and every kitchen with the customer’s unique requirements in mind. Our years of experience have given us the expertise to know what works and what doesn’t, and we will discuss every detail with you at the planning stage to ensure that together, we create the kitchen of your dreams. Project Management – this is an essential element in every job. From start to finish, Malcolm will manage your project to ensure everything runs smoothly and to time. Malcolm will organise the supply and delivery logistics of all the required elements and ensure that the appropriate trades are available on site when necessary. Construction Work – if your kitchen requires an extension or other construction work, we can draw up plans, using an architect if required, secure necessary planning permission and carry out all the building work. Instate/renew Plumbing and Electrics – our expert plumbers and electricians will instate your water, electricity and gas safely. Tiling – we will tile as required to ensure we offer a complete service from start to finish. Flooring – We can lay stylish laminate or vinyl flooring, or organize alternative floor coverings to your specification. To read what our existing customers have to say about the level of service you can expect to receive, please take a look at our reviews. 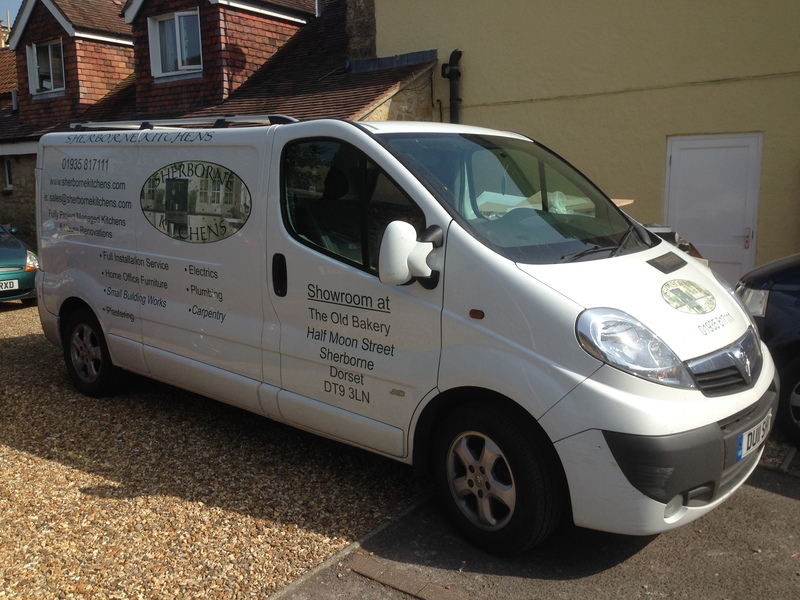 If you would like to make an appointment for a design consultation or if you have any questions about any of our services, please call Sherborne Kitchens on 01935 817111.